Aged care leaders will come together in May to face up to the industry’s staffing crisis and learn from international experts how they can improve the level of care elderly New Zealanders are receiving. 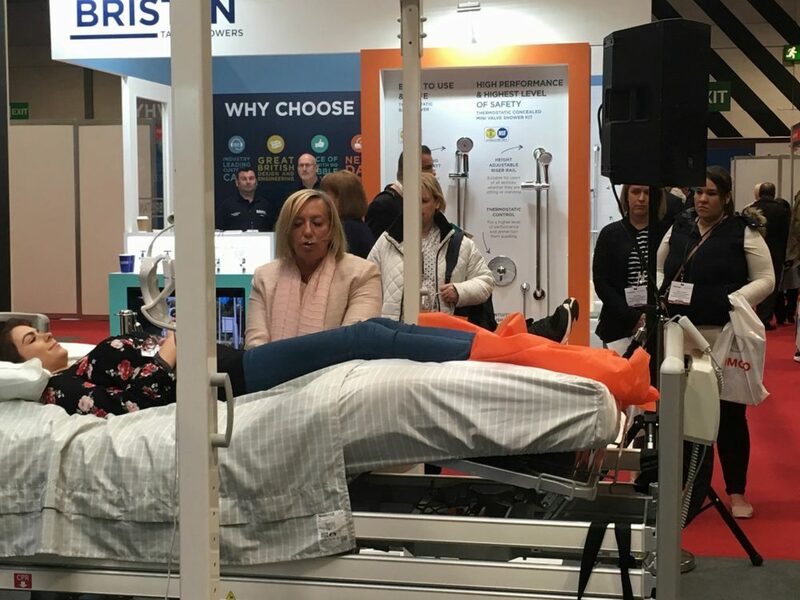 Those attending the ‘Challenging the Norm’ conference at Auckland’s Cordis Hotel on Tuesday 7 May will be urged to adopt global best practices like single-handed care and embrace new technologies to help alleviate the burden on aged care staff. A shocking report entitled ‘In Safe Hands’ is based on 2018 research by the New Zealand Nurses Organisation (NZNO) and E tū. It was released in early March and reveals “a broken system which endangers residents and takes a heavy toll on nurses and caregivers”. Almost 1200 aged care workers were surveyed with 73 per cent saying staffing levels weren’t high enough to provide quality care for residents. Care (including medications and pain relief) was being missed or delayed on most or every shift, and residents themselves are choosing to lie in pain rather than ‘making a fuss’ because they know staff are too busy to help them. NZNO Industrial Advisor Aged Care David Wait says staffing levels must be urgently reviewed and mandatory minimum numbers introduced. The report says some aged care facilities now operate on a ratio of one carer to 10 elders. Their needs are often more complex than ever before because they’re entering rest homes later in life and living to an older age. “We think New Zealanders care very much about the health, wellbeing and dignity of our seniors and would agree that the way we care for them reflects back on all of us,” Wait says. Cubro is New Zealand’s leading supplier of rehabilitation, medical, aged care and healthcare equipment and has organised the one day ‘Challenging the Norm’ conference to help aged care leaders discuss the critical issues and drive change in their organisations. “We’re really passionate about raising the quality of care in New Zealand,” says Louise Eaton, Cubro’s Head of Marketing and Communications. “In our work with both aged care and community care, we see first-hand the immense pressure aged care workers and their organisations face, and we wanted to help do something about it. Guest speakers will include global moving and handling expert Deborah Harrison who – for the first time in New Zealand – will discuss practical ways to create safer working environments in line with international standards. New Zealand aged care workers will typically lift 1.8 tonnes during an average eight hour shift, creating a substantial risk for workplace injuries. Overhead lifting solutions (which are common overseas) not only minimise that risk, but free up time for staff to perform other carer tasks as one person is able to lift and move a resident instead of two. Former New Zealander of the Year (2014) Dr Lance O’Sullivan will speak about emerging healthcare technologies and their power to transform our existing models of care, while facility and asset management specialist Jack Crutzen will discuss how aged care providers can take a proactive approach to these areas. For more information about the Challenging the Norms event, visit www.challengingthenorm.co.nz. For more information about the NZNO and E tū report ‘In Safe Hands’ visit https://www.flexmediagroup.co.nz/in-safe-hands/index.html.